This was probably the ultimate in graphics cards at the time. 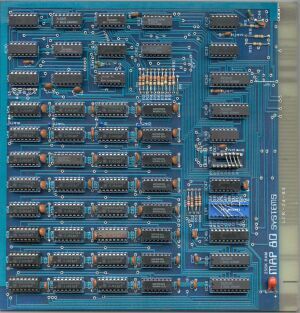 It’s a late issue IO research Pluto card with integrated palette. This system was very powerful (at the time) and ws way too expensive for mere mortals! I’ll try to sort some more information out about this.